Touch Tour and Audio Description available, to book these facilities please call Sarah or Hannah on 01260 288690. Shows at 4.45pm and 7pm. Got a question? 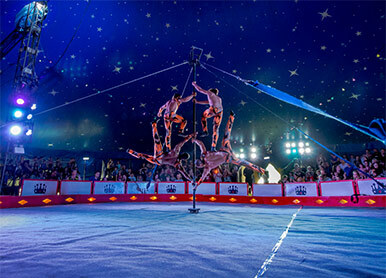 Try our FAQs, email info@circus-starr.org or phone 01260 288690.